Situated in Mianyang, this hotel is within 3 mi (5 km) of Jiangyou No.6 People's Hospital, LI Bai Memorial, and Taibai Park. Mianyang Museum and Mianyang People's Park are also within 25 mi (40 km). Located in Fucheng District, this hotel is within 9 mi (15 km) of Mianyang People's Park, Bishui Temple, and Mianyang Museum. Jiangyou No.6 People's Hospital and LI Bai Memorial are also within 32 mi (52 km). Located in Fucheng District, this hotel is within 9 mi (15 km) of Mianyang People's Park, Bishui Temple, and Mianyang Museum. Jiangyou No.6 People's Hospital and Taibai Park are also within 32 mi (52 km). How Much is a Hotel Room in Mianyang? Hotels in Mianyang start at $42 per night. Prices and availability subject to change. Additional terms may apply. Finally taking that trip and looking for hotels around where the locals stay in Mianyang? 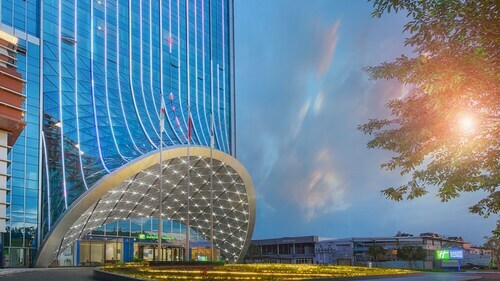 With 2 hotels, apartments and other accommodation options on Travelocity within a 6-mile (10-kilometer) sweep of the center of Mianyang, it should be a breeze finding something that fits nicely into your plans. Check out a range of Travelocity hotels located within a 6 miles (10 kilometers) distance, such as the Ibis Bengbu Huaihe Rd Railway Station and ibis Mianyang Jiangyou (Opening June 2016). After spending time in Mianyang, venture out to discover the other natural and cultural attractions of the Sichuan area. Investigate Sichuan's old towns and temples and also relish the area's rural landscapes and mountains. Visitors and locals alike in this region of China adore mountain climbing. Prior to saying farewell to Sichuan, catch a game at Deyang Sports Center if you can squeeze it into your itinerary. 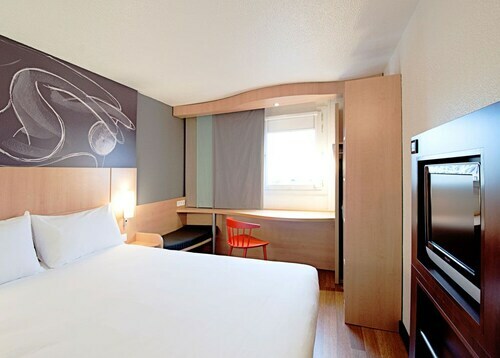 Look for accommodation nearby, such as the ibis Styles Deyang. 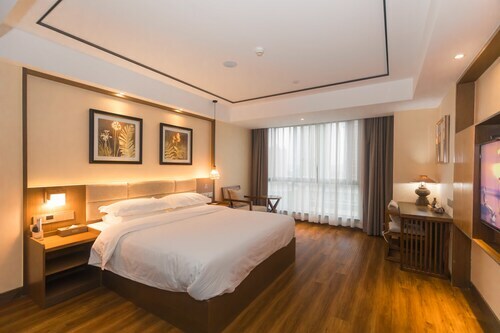 For the modern traveler planning on arriving or departing through Mianyang Airport, you might choose to book accommodation at Mianyang Caishe Hotel, or Yijia Hotel Mianyang Tieniu Square Branch, which can both be found a short drive away.